What is Rust doing behind the scenes? You need Rust nightly and rustfmt to get started. All set? Let's get cracking! If you don't specify a file, the current crate will be analyzed instead. Depending on the size of the crate, this might take a while. Should we list all pretty printer themes? 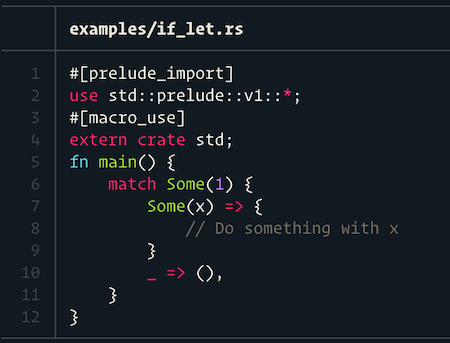 Rust allows for a lot of syntactic sugar, that makes it a pleasure to write. It is sometimes hard, however, to look behind the curtain and see what the compiler is really doing with our code. To quote @tshepang, "It is good to know what these conveniences are, to avoid being mystified by what's going on under the hood... the less magical thinking we have of the world, the better." I was always interested in how programming languages work in the background, how my code was unrolled to the compiler backend easier to maintain. The goal is to make the compiler more approachable for mere. Read more on the background of cargo-inspect on my blog. You can see that the if let was desugared into a match statement. To change the colorscheme, try cargo-inspect --list-themes, e.g. Please find more examples in the examples folder. You can also contribute more. rustc -Zinspect=hir, for retrieving the HIR. rustfmt, for formatting the output. 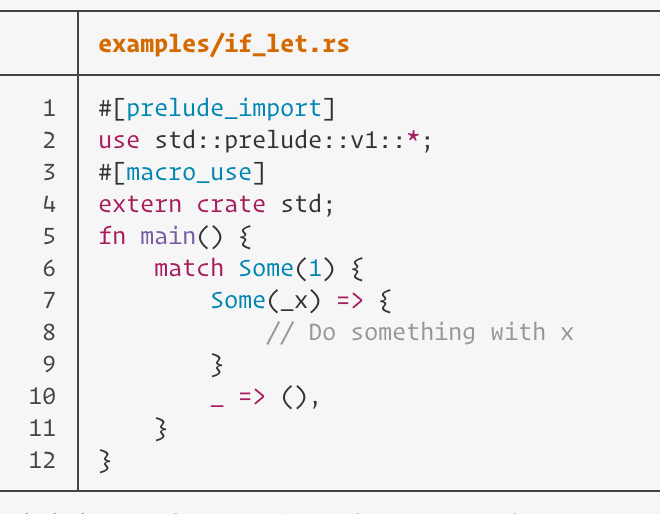 prettyprint, for syntax-highlighting, which is just a wrapper around the awesome syntect and bat crates. This is a young project, which has downsides and upsides. Thus, become a contributor today!